Kellogg & Kimsey, Inc. and Elite Hospitality, Inc. hosted a “Topping Out Ceremony” Tuesday, July 14, 2015 for the Courtyard by Marriott in St. Augustine Beach, FL. in honor of the building reaching its full four story height. The project team, developers and subcontractors were joined by local city government officials for a BBQ lunch and raffle following the placement of an American flag on top of the building. “We are all excited about the new hotel and fully support this project” says Commander Jim Parker of the St. Augustine Beach Police Department. The 131,500 square foot hotel developed by Elite Hospitality, Inc. will feature 206 guest rooms, several large meeting spaces for conferences as well as a pool and spa. 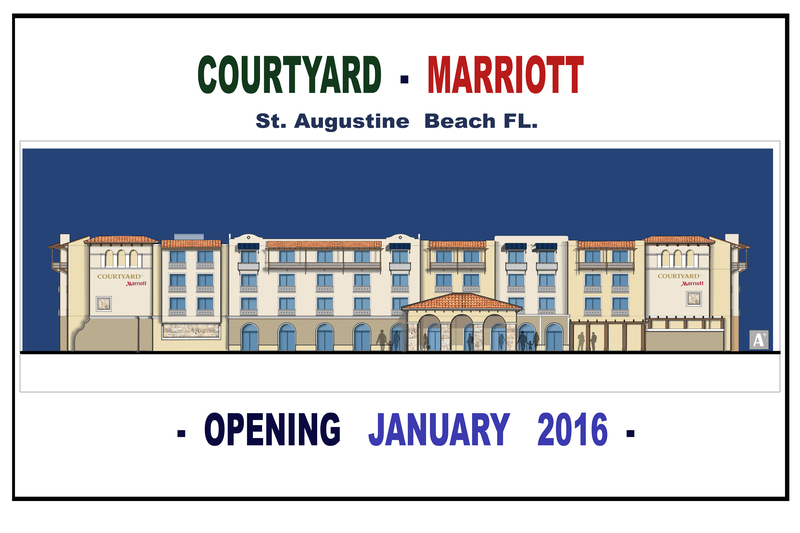 This is the 12th project for Elite Hospitality who also owns and operates the Hilton Garden Inn and Hampton Inn, two other local St. Augustine Beach Hotels. Kellogg and Kimsey, Inc. is a seasoned national hospitality contractor that has built all of the Marriott limited service brands, including multiple projects that earned “Opening Hotel of the Year” awards for Marriott and the other leading hotel brands.